Francis Ngannou's new apartment has a spectacular view. From his small third-floor balcony, Ngannou can look out over the western edge of Las Vegas and see the rugged cliffs of Red Rock Canyon cutting a line across the horizon. The view is one of the things Ngannou likes best about the apartment, which represents the culmination of a meticulously planned move from France to the U.S. six months ago. The wide-open Nevada landscape fills him with a sense of freedom, he says. For most of his life, having a place like this was an impossible dream. The fact he's made it here at all must seem like a miracle. Yet Ngannou knows not to stare too long. "This doesn't mean anything [yet]," he says, dismissing his brand-new leather couch, glass-topped coffee table and flatscreen TV with the flip of one absurdly long arm. "This isn't what I want. I want something very big. "I can't allow myself to be happy with this. This is not bad at all. It's a good thing. But it's not enough to make me stop." Not enough because this isn't the dream. The dream, what Ngannou really wants, is to become UFC heavyweight champion. Once he's champ, maybe he'll be able to take a moment to reflect on how far he's come. Until then, the apartment isn't a place he spends a lot of time. Right now, for example, he's in the thick of training for a high-stakes contender bout against Alistair Overeem at UFC 218 on Saturday. He spends most days at the nearby UFC Performance Institute, surrounded by a revolving door of coaches and training partners. His interior-decorating choices reflect that spartan lifestyle. The flashiest piece of furniture in his apartment is a glowing mini-fridge emblazoned with the logo of a sports drink company owned by Kobe Bryant, which recently became one of the UFC's newest corporate sponsors. The dining table is cluttered with cellphones, a laptop and a dogeared copy of the Nevada State driver's handbook. The only visible piece of art is a small, unframed canvas square reading: Never Let Go of Your Dreams. On a sunny Sunday morning, Ngannou and longtime head coach Fernand Lopez are huddled underneath that canvas, taking a brief break from making battle plans. Lopez has been in Vegas less than 24 hours, arriving from Paris just in time to help Ngannou put the finishing touches on his preparations for Overeem. The coach has been monitoring the camp from afar, and now the two will put their heads together on how to get past this fight and on to the true prize—a meeting with champion Stipe Miocic early in 2018. "Everybody is trying to sell what they have," Lopez says, of the handful of heavyweights who could be in the mix for the next shot at Miocic, "but nobody has as long a stretch of winning as Francis, and in spectacular fashion every time in the first round. Who doesn't want to see that fight?" 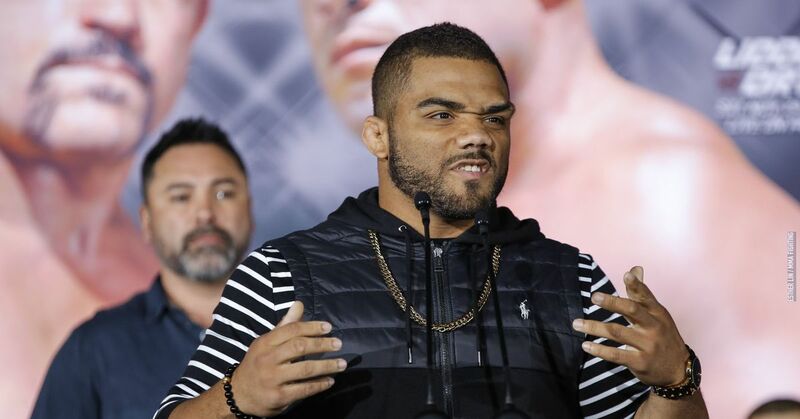 This will be the pair's first fight since Ngannou moved to the U.S. Nearly all the work has been done with the two men on opposite sides of the globe, but if the long-distance relationship is less than ideal, they aren't about to say so. "We know each other and how we work," Ngannou says. "He knows me [better] than any of these guys [in the U.S.]"
Perhaps they've each had enough time to get used to the arrangement. From the moment Ngannou made his Octagon debut in December 2015, he suspected he'd have to relocate to the U.S. The shallow and perennially unstable UFC heavyweight division just doesn't get many fighters like him. At 6'4", 255 pounds, the 31-year-old striker possesses a lithe athleticism that sets him apart from his slower, more plodding contemporaries. Add in his mammoth 83-inch reach and uncanny ability to quickly absorb the game's most complex nuances, and Ngannou shapes up as the most exciting heavyweight prospect since Brock Lesnar. "He's a rare kind of athlete," MMA analyst Patrick Wyman says. "He has an incredible frame. He's really tall, he's got incredibly long arms, and he's exceptionally light on his feet for such a big guy. It's very rare to find somebody who can move like that, especially in MMA, where the heavyweight division isn't drawing from the deep end of the talent pool." Ngannou has the look, too. While jetting to a 5-0 record in the UFC, he's taken to showing up to events in flashy bespoke suits and dramatic oversized sunglasses. With a jagged lightning bolt bleached into one side of his hair, it's as though he stepped out of a central casting call for the role "MMA star." All told, Ngannou enjoys the sort of potential he couldn't maximize from France. He spent nearly two years getting the paperwork in order to make the move, saving the money and scouting locations. Now, he says he's happy with his new life in the U.S. He likes Las Vegas, and the apartment is starting to feel like home. That's not something Ngannou will ever take for granted. "When you're used to having nothing," he says, "the first time you have something you get really focused. You know if you lose it, it may not be easy to get it back." Ask Ngannou to describe his life growing up in Cameroon, and he momentarily becomes lost for words. The fighter is solidly bilingual—speaking both French and English—but the problem here isn't any kind of language barrier. It's the impossibility of the question. "There kind of are no words," Lopez offers. Ngannou nods. "It's just survival," he says. "Just survival." His tiny hometown of Batie was sometimes called "The Sand Village" after its most bountiful export. Even today, the average Cameroonian gets by on less than $1,500.00 per year. When Ngannou was born in September of 1986, the country had no free national education system. That combination of poverty and lack of opportunity were suffocating, he says. Many children went to work from the moment they were able, just to make enough money to go to school. "In Cameroon, kids have many problems," Ngannou says. "They think everything is lost before they are born. It seems like they are not allowed to dream. They are not allowed to be ambitious. They just accept being the victim of their life." When he was six, Ngannou's parents divorced, leaving him shuffling from the home of one shoestring relative to the next, along with his mother, three brothers and sister. Though he was grateful to have his family, Ngannou says the other kids he lived with often teased him. They never let him forget that he was an outsider. "They would always remind you...'you are from a bad family,'" he says. "They would always remind you that you were a stranger in their house." Watching his mom struggle to support him and his siblings was one of his earliest motivations to become a professional fighter, Ngannou says. Even today, when he starts to feel the grind of a training camp, he imagines his mom sick and unable to afford medical care in Cameroon. He reminds himself he's not just fighting for himself, but for the lives of the family he left behind. As a kid, however, nobody took Ngannou's dreams seriously. He grew up idolizing Mike Tyson, but in Batie there was no place to learn to box. The people there had never heard of someone from their village becoming a professional athlete. When Ngannou would talk about it, they would laugh at him. "It just sounded crazy," he says. "People were like, 'Calm down, man, you dream too big.'" Frequently unable to afford the cost of school, Ngannou says he started working in the sand mines at age 12. It was grueling and dangerous work, spending hours shoveling sand into the backs of trucks so it could be shipped to big cities for use in construction. Sometimes he would stand all day in water up to his shins, scooping sand out of the riverbed. Other days would be spent at the bottom of a steep quarry, where large chunks of earth often broke free from the high cliffs and tumbled down onto workers. Ngannou's father was a notorious street fighter who had deserted his family after the divorce. Ngannou says his dad was always in trouble with the law, and that early on—because of his own size and strength—people in Batie expected Ngannou to turn out the same way. "He had a bad reputation," Ngannou says. "So when [people] saw me—and I was a big kid, with power—they would always tell me, 'You'll be like your dad.' They would always tell me like that, and I hated that feeling. ... I really felt shame for that. I thought, I'll never become like this guy. Never." At the same time, Ngannou liked to fight and knew his ferocious natural strength made him good at it. He decided his best option was to use those gifts in a legitimate way. At age 22, he left Batie for Cameroon's largest city of Douala, where he began studying boxing while working hefting heavy bags of clothes in the garment manufacturing industry. After just a few years though, Ngannou knew he'd outgrown what was possible even in Douala. He made plans to leave Cameroon for France, believing it was his only chance to get the sort of training he'd need to make it big as a fighter. The people around him once again made fun of the idea, warning Ngannou not to get his hopes up. "People told me, 'You talk about Europe like it's heaven. It's not heaven,'" he says. "I said, 'Yes, but I don't need heaven. I'm going to make my own heaven. I'm going to struggle for it. I'm going to fight to earn everything I dream about.'" "That's beautiful, man," Lopez chimes in. "That's really beautiful." Together, Ngannou and his coach share a nod, and then they both start to laugh. On his first full day living on the streets of Paris, Ngannou did three things: He learned where to go to eat, where to sleep, and then he went out to find a boxing gym. His plan was simple. He walked through different neighborhoods asking strangers on the street if they knew of a gym in the area. When he found one that looked promising, he would go in and tell the boxing coach: "I just moved here. I'm homeless and I don't have any money—but I'm not here to beg. I just need some place to train because I'm going to become world champion." For any ordinary person, this approach would likely get them laughed right back out the front door. But when you walk into a fight gym looking like Ngannou, it doesn't take long to find a sympathetic audience. Ngannou quickly located a coach who agreed to let him train at his gym. He used the $50 the coach gave him during their first meeting to buy a backpack, one workout shirt, one pair of shorts and one towel. "I didn't have hand wraps, no mouth piece, anything, but I didn't give a s--t about that," Ngannou says. "I was just really excited to start, like, right then." His new coach was impressed with his boxing skills, but people at the gym told him if he wanted to make money in combat sports, he should try MMA. Boxing was a closed world, they said, and without connections to powerful promoters or trainers, he'd be better off in the renegade mixed-rules sport. Ngannou had one question: What in the world was MMA? "They explained it to me, and I just laughed," he says. "What's that? I'm not going to go wrestle and all that crap. It was very strange to me and very weird. I said, 'I will not do this.'" He was making good progress in training. The problem was, his gym closed on holidays and weekends. On those days, Ngannou had nowhere to go but Paris' various homeless shelters. After asking around for a place that stayed open more often, he heard about Lopez's MMA Factory gym. On one of the holidays when his normal place was closed, Ngannou walked over to check it out. Luckily, he got his usual reception. "They looked at me and said, 'I'm pretty sure Fernand will be very happy to see you,'" Ngannou says. Lopez was happy to see him. Another native of Cameroon, Lopez had become a veteran of the French MMA scene from 2006 to 2010. The two men bonded immediately. After listening to Ngannou's story, Lopez gave him a bag full of gear and offered to let him start sleeping at the gym. Ngannou eagerly accepted. Inside a couple of hours of watching him work out, Lopez says he knew Ngannou was a special talent. "When you see people training, you can tell," Lopez says. "You're not a magician, but you can tell if [somebody] has the X-factor. For MMA, he had what it takes." Lopez recalls an early training session where Ngannou sparred with Bellator MMA light heavyweight champion Christian M'Pumbu. The inexperienced Ngannou wasn't exactly competitive with M'Pumbu, but Lopez noticed that Ngannou was absorbing things at a breakneck pace. Concepts that would normally take a beginner months to learn and assimilate, Ngannou was figuring out on the fly in just a few minutes. Still, though, he was stubborn about focusing on MMA. After spending his childhood dreaming of becoming a boxer, he was reluctant to give up on it. Lopez says he didn't try to convince Ngannou to become an MMA fighter. He just booked him a couple of MMA fights to let him get a taste for it—and the money he'd make in the fights. The plan worked. Ngannou went 5-1 fighting on the independent MMA scene. He also discovered MMA played to his natural strengths and was excited to have some cash coming in. He and Lopez looked around Paris and eventually found Ngannou his own place to live. Ngannou was officially on the rise, but it didn't take long before fighters in France stopped accepting bouts with him. Lopez says he went as far as putting an open challenge on his Facebook page, asking, "Will anybody in Europe fight Francis?" They tried to book him in boxing matches, kickboxing matches and MMA fights, but almost always found no takers. Then, on Ngannou's 29th birthday, he got a phone call from Lopez that changed his life forever. "He said, 'What gift can make you the happiest?'" Ngannou says. "I thought, maybe he has a computer for me? I said, 'I don't know, surprise me.' He said, 'What if I tell you you just got your UFC contract? The first fight will be in four months, in December, in Dallas, in the U.S.'"
Ngannou took the fight—against Luis Henrique at UFC on Fox 17—and won it by second-round knockout. The absolute worst news for the rest of the UFC's heavyweight roster? Ngannou is still getting better. His most recent fight, against former champion Andrei Arlovski in January, was supposed to be a stiff test for the younger fighter. Instead, Ngannou toppled Arlovski with an off-balance counter uppercut and pounded out a TKO victory in just one minute, 32 seconds. The MMA analyst Wyman estimates that considering his age and level of experience, Ngannou has a long way to go before reaching his full potential. "I would guess he's got three more years at least of still making big improvements from fight to fight," Wyman says. "How terrifying is that, right? It's hard for me to overstate how impressed I am with him." The ability Lopez noticed during their early training sessions—to synthesize information and use it to solve problems almost immediately—is still paying off for Ngannou. Opponents might fool him with something in a fight, but they're never going to catch him with the same trick twice. This is one big reason why both Wyman and Lopez insist that, despite his impressive physical stature, Ngannou's greatest attribute as a fighter is his unique psychology. In person, he is stoic and thoughtful, his rumbling baritone voice so relaxed you occasionally have to lean forward to make sure you're catching every word. Overall, Ngannou gives the impression of a quiet man who would rather sit and learn than shoot his own mouth off. 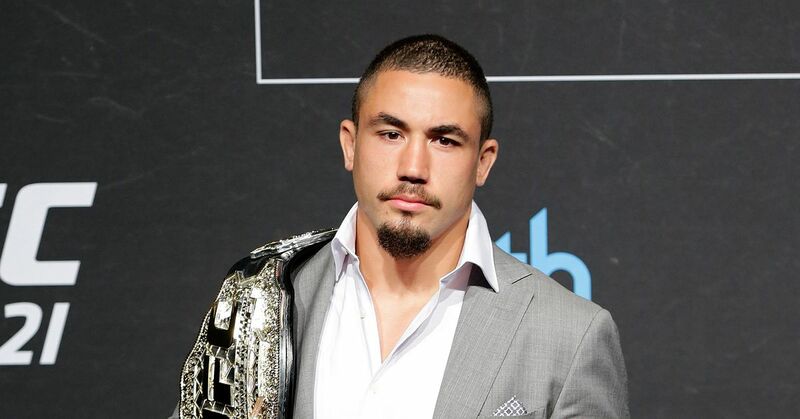 That attitude has made him tenacious but unflappable thus far in the UFC. Ngannou uses the early stages of his fights to take his opponents' measure. He waits patiently for openings before uncorking one of his crushing power shots. His innate knack for nuance typically means that when a window of opportunity presents itself, he doesn't miss. His attacks are accurate. His counters are sharp and fluid. He's learning and adapting so quickly that the few holes in his game are rapidly closing. "I'd say, three years, he's probably the champion," Wyman says. "It's rare to make that kind of prediction, but I'd say given the thinness of the division and the lack of up-and-coming talent—the other dudes may just age out while he's still getting better. He might just hit it at the right time." The UFC seems to agree, already taking steps to establish Ngannou as a future star—booking him in advertising campaigns, fan Q&As and media events. "I like Francis Ngannou," UFC President Dana White told The TSN MMA Show recently (via MMA Mania). "I think Francis Ngannou can be the next big thing, literally and figuratively." Meanwhile, Ngannou has used his early success to give back to Cameroon. He's started a charity to benefit the people of Batie and is also opening a gym there. He wants the young athletes of his hometown to have the opportunity he never had—to follow their dreams without having to move thousands of miles from home. "I still remember when I was young, I was like, 'Why can't someone just make a boxing gym here?'" Ngannou says. "That was my biggest dream. ... Today, it seems normal in my village if a kid says, 'I'm going to do boxing.' They say, 'Yes, it is possible, because Francis did it.'" If there is any reason to temper the over-the-top expectations for Ngannou's future, it might be Overeem. The Dutch fighter represents the most compelling stylistic matchup of his short career so far. Their bout will tell one of the oldest stories in fight sports—pitting a rising star against a crafty elder statesman. At 37 years old and a veteran of nearly 60 professional MMA fights, Overeem is no longer the fearsome and athletic headhunter he was a few years ago. Instead, he's refashioned himself as a cunning strategist. He likes to set traps on the feet, lure his opponents in and then use his world-class kickboxing skill to take them out. On paper, the fight shapes up as a slugfest, but if Ngannou doesn't stop Overeem early, it may turn into more of a chess match. It remains to be seen if Overeem's wiles will be too much for the inexperienced Ngannou. "Overeem at this point has all the craft in the world," Wyman says. "If there's a fighter in the division who is really going to trouble Ngannou outside of Miocic, I think it's going to be Overeem simply because of the depth of skill." Ngannou says he fully understands the risks. He still has a lot to accomplish. He thinks about the task before him every time he imagines his mother and his family back home in Cameroon. He thinks about it every time he stands inside his new home in Las Vegas and looks out at his terrific view. He's not about to let Overeem take all that away from him. "My entire life I've been a fighter…" Ngannou says. "My entire life I've struggled and worked for nothing. Now, I can work for something, so you can guess how big my motivation will be."